Previously supported as part of Jacksons Lane's Transmission programme – and previously shown at the venue as well, in early scratch form – Keziah Serreau's Strike! returns this spring for its full premiere. 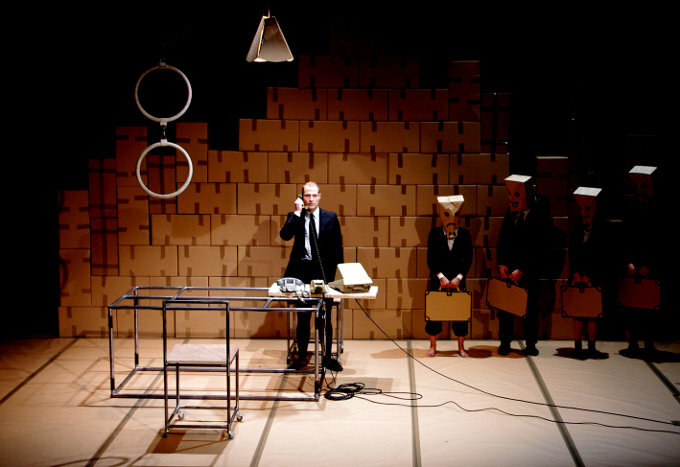 With a stage set of stacked cardboard boxes and aesthetic of corporate starkness, the piece 'explores man’s desire to break free from bureaucracy and the constraints of work'. It's performed at Jacksons Lane as one of several off-site events coming under the banner of the Roundhouse's CircusFest.